Eating seasonal produce is good for so many reasons. Eating seasonal produce is good for so many reasons. We say yes to supporting local and eating what’s in season. 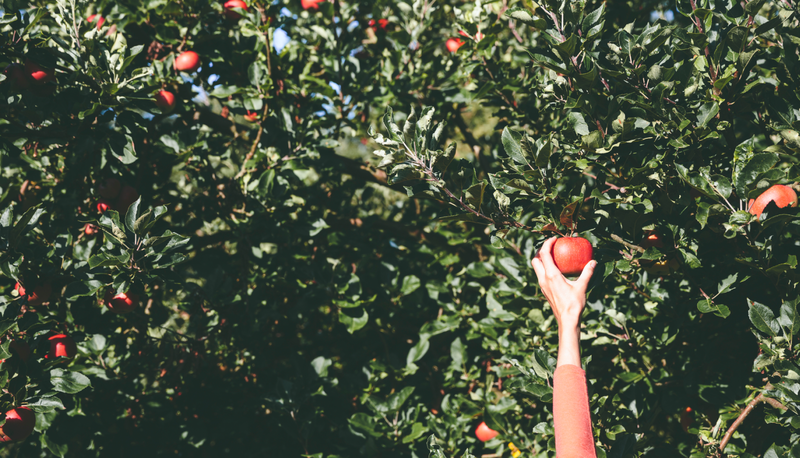 Isn’t it wonderful to eat a fresh orange or apple – one straight from the orchard, that you know was picked in the last few days, or even the last few minutes, if you happen to be standing in the actual orchard? Decades ago, before imported food became so common, you’d never eat Spanish oranges in a South African summer, or English strawberries in winter, just to make watching Wimbledon on TV feel authentic. You ate what was available, when it was available. Yes, we sound like your gran, but she was right. There was always a good seasonal supply of fruit and veggies – and if you wanted paw paw in July, you’d just have to wait for summer. Here are some good reasons to eat what’s in season. For starters, it just tastes better. That sun ripened flavour is great. Nutritionally, it’s better too. Seasonally fresh fuit and veggies are picked when they’re ripe and fully developed, with higher levels of antioxidants. It’s cheaper. When there’s a lot of a product, the prices go down. When you’re eating what’s in season, there’s usually a lot of it. It’s usually cleaner. When you eat locally grown, seasonal food, you’re probably eating cleaner too, since fewer pesticides are used. You’ll get creative. Eating only what’s in season will make you think more cleverly about how to use what’s available. That sun ripened flavour is great. So buy what’s in season in your area, and look for recipes using those ingredients. Seasonal produce is kinder to the environment because it can grow without too many pesticides and genetic modification. Locally grown food that’s grown closer to home also has a smaller carbon footprint. Variety is also healthy for our bodies; so by changing our menu according to what’s available you are also less likely to develop allergies and food intolerances. You’ll be closer to your community, by getting to know where your food is coming from and who produces it. The natural seasonal cycles of the food we eat is best for our health. Apples in autumn, citrus in winter, melons in summer – they all give us just what we need at the right time of the year. Summer melons help us stay hydrated, and winter citrus gives us Vitamin C to ward off colds. Say a big no to imported, and healthy yes to local. Trust the food of every season, embrace the natural rhythm of things, and enjoy the health benefits. Back local, and trust locally grown Natures Garden frozen veg – which is flash frozen after picking so it’s like eating produce fresh from the farm.